Another pattern I recently tested, by the same designer as my last make – Grammies Dolls, was the Catherine Coat. It’s a fully-lined coat with a princess-seamed bodice and skirt with box pleats. I haven’t made much outerwear (just a couple of coats), so this was a really fun pattern to test. I made the coat entirely out of fabrics I had in my stash, so it was essentially free! The pattern is designed to have button closures and an optional sash, but I left both off because I liked how it looked open. I think I’ll have to go back and add in some sort of closure, though, to ward off the wind! The designer also added in a detachable hood (though I didn’t get a chance to test that). I think I may have to add that to this coat as well to make the coat even more useful. I’ve worn this coat a number of times since I made it, and I feel so chic in it! This coat was easy to fit – because it has a full lining, I just put that together, adjusted it to make it fit just right (had to take in the bodice a bit to fit me), and then made those same adjustments to the fabric pieces. The only changes I made, aside from fitting the bodice a bit, were shortening the skirt a little and top stitching around the entire coat (my fabric frayed really badly, plus it was really thick so it didn’t press well – the top stitching served the double purpose of securing the seams a bit more and making them lie flat). I left off the optional cuffs. This pattern convinced me that I need to make more outerwear pieces! I’ve been doing a lot of pattern testing lately, which has been a lot of fun (albeit a little stressful to keep up with these deadlines plus work deadlines…). It’s so nice to get to see patterns as they go through the final revisions and get ready to be listed for sale. One pattern designer I’ve been fortunate enough to test for recently is Grammies Dolls, which is a new-to-me designer. She has primarily designed clothing patterns for little girls, but is branching out into designs for women (and I believe she plans on making some designs for boys in the future, too). Her first pattern to be released for women is the Penelope Pencil Skirt, which is a fully-lined, knee-length pencil skirt with kick pleat. I would say this is an intermediate-level pattern, as it requires installation of a zipper plus the kick pleat. I had never done a kick pleat before, but the new instructions for that make that technique pretty doable, I think. I made a medium (size 8-10) based on waist measurements. I had to take in the hips a bit, though, as my hips are a size smaller (the pattern has since been adjusted, though, so keep that in mind). I love the finished product. It will be perfect for work. But I have a confession : this is now a lining-less skirt. I have a rather ridiculous fabric stash at the moment, so I’m trying to just use fabrics I have without buying anything new. I had this linen blend for the outer fabric, which has some silver sparkle to it (though you can’t really see that from the pictures) and thought it would be perfect for the skirt. For the lining, though, I used this golden colored lining material which I bought about a million years ago (when I had very little knowledge about what the heck I was doing with a sewing machine). And I hated it. The lining was just awful. Not the pattern – that was just fine. It was the quality of the material. Yuck. So, instead of having an item where I would hate the lining, I simply removed it. It’s now a lining-less skirt, which I think works perfectly over leggings, or a slip, if need be. Now you know – this skirt can be made without a lining if you prefer! The pattern is available here, and, until Monday at midnight, you can get it 20% off by using the code “newlisting” (without the quotation marks). I can’t wait until you see the next pattern being released by Grammies Dolls (which I also tested). 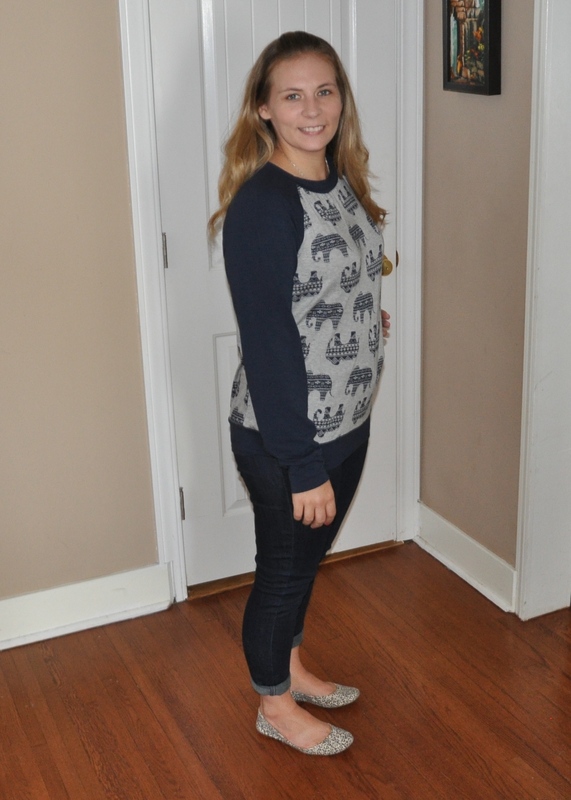 It’s already become a staple in my closet! Cow says “Moo,” Sheep says “Baa”. The boys have been so much fun lately. 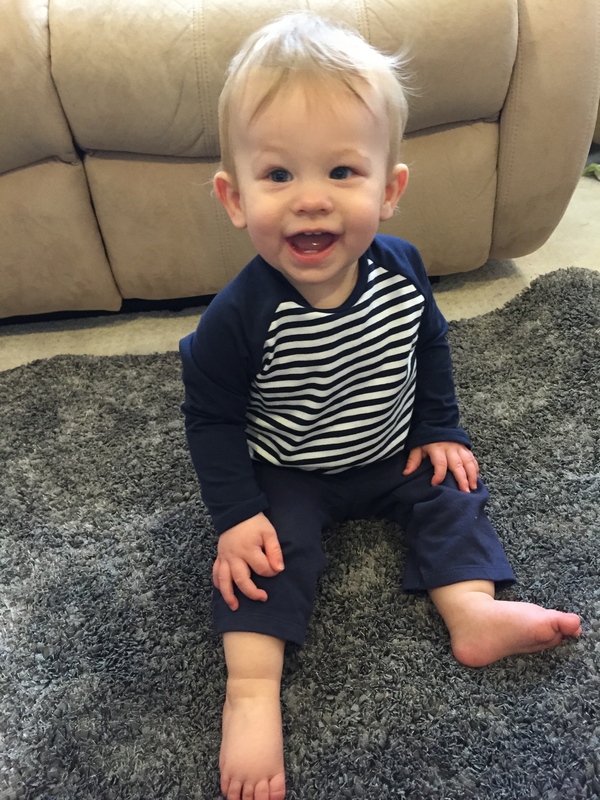 They are now 11 months old, which is now my favorite age ever (as has been every month so far…). 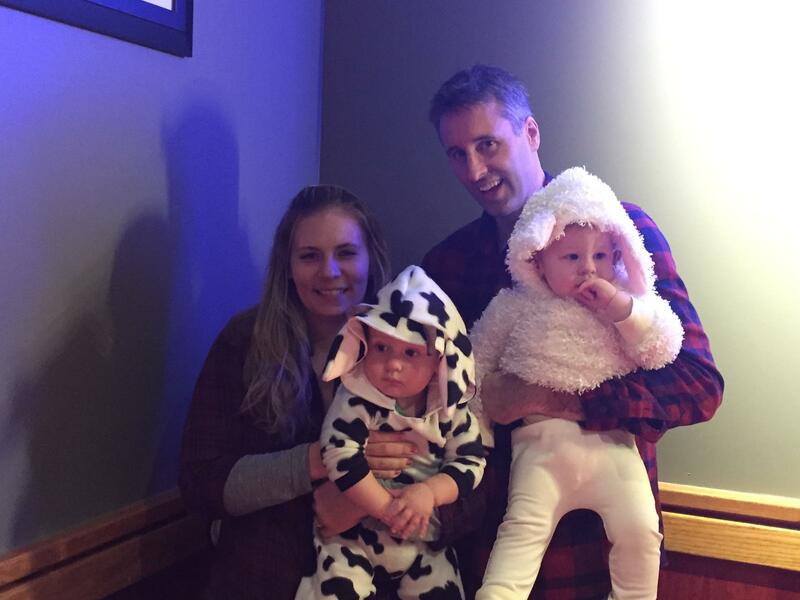 And they’ve now experienced their first Halloween! I’ve never been a huge fan of dressing up for Halloween, but I couldn’t wait to dress up my boys. And for their first Halloween, I wanted them to have special, handmade costumes. So enter the farm animals! After much deliberation, I decided to make them a cow and a sheep. What’s cuter than miniature farm animals? I made the costumes using all patterns from Max & Meena Patterns. 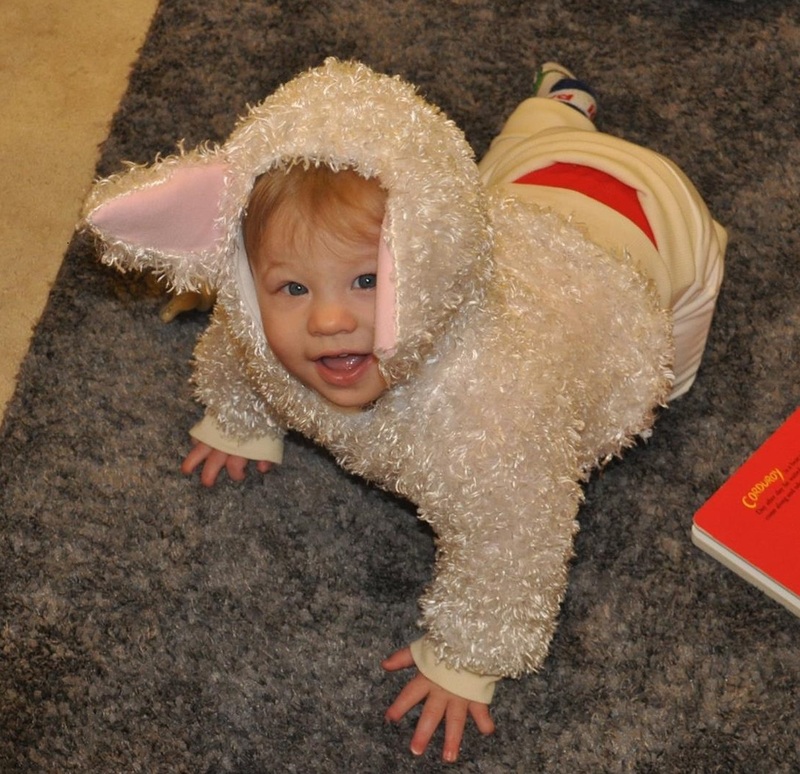 For the cow costume, I used the All Ears Hoodie and the Maxaloones. I made the 18 month size for the hoodie and size 1 for the pants. 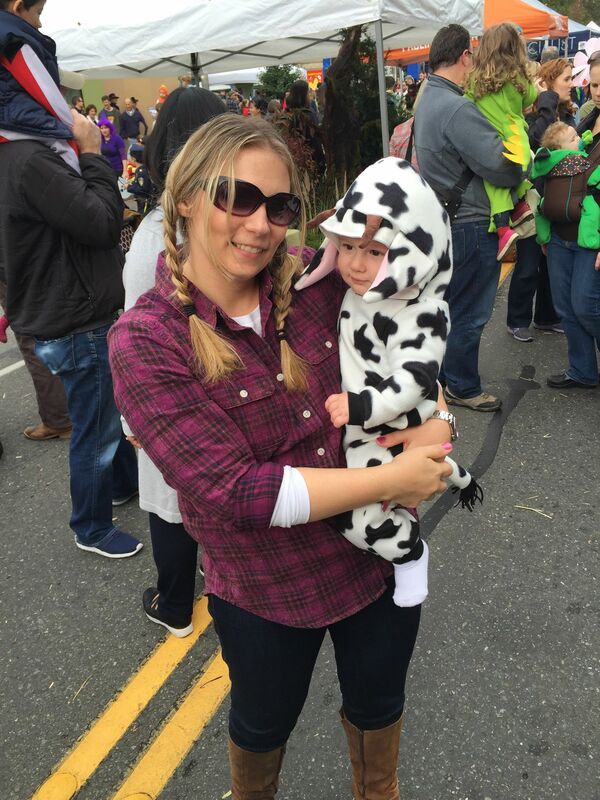 All of the fabric for the cow costume came from Joann Fabrics. Originally, I made the Rompaloones (in black, with a white bum circle) to go under the sheep hoodie, but decided I wanted white legs instead of black, so replaced them with the white Maxaloones. 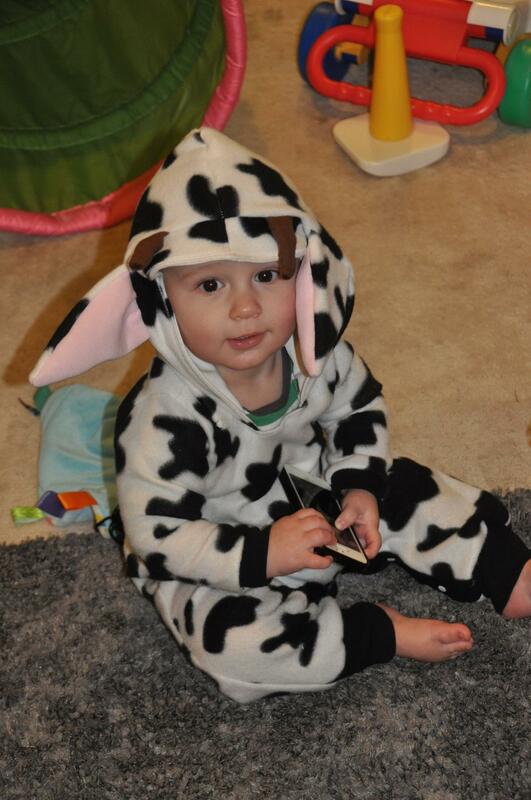 For the cow costume, I used the Rompaloones, in the 18 month size, with the hood taken from the All Ears Hoodie pattern. I modified the pattern slightly to add in the tail and to create a wider neck opening since I didn’t use a stretch fabric. 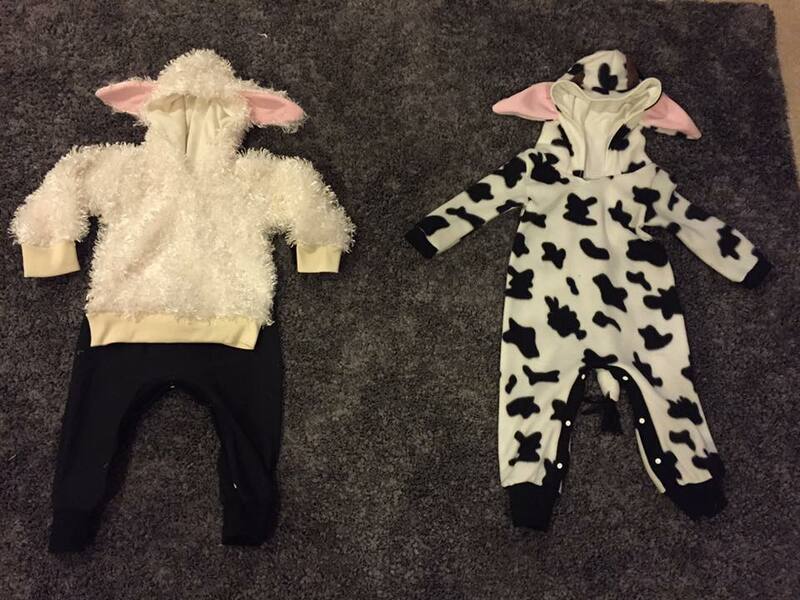 (I also modified both the hoodie and the Rompaloones to create a cow and a sheep, since the pattern doesn’t come with those variations). I bought the cow fleece fabric from Amazon – it’s available here. The rest of the fabric came from Joann Fabrics. My little farm animals didn’t seem to mind the costumes at all (though they weren’t very willing to sit still long enough to have their pictures taken). It was so much fun to watch them crawl around in their outfits. 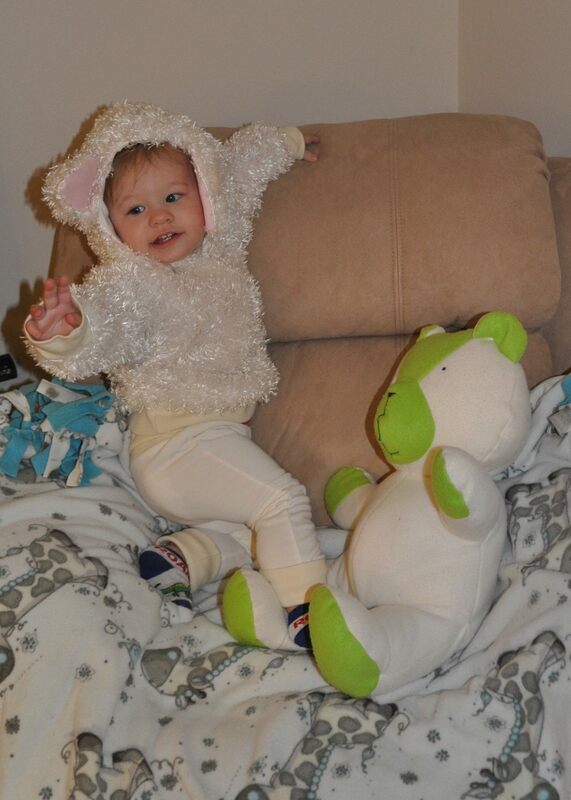 It was a wonderful first Halloween as a mom. 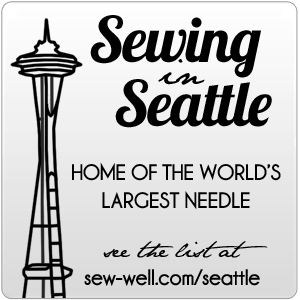 I’ve been doing a fair amount of sewing lately, so I’ve got a backlog of projects about which to blog! First up, baby clothes! 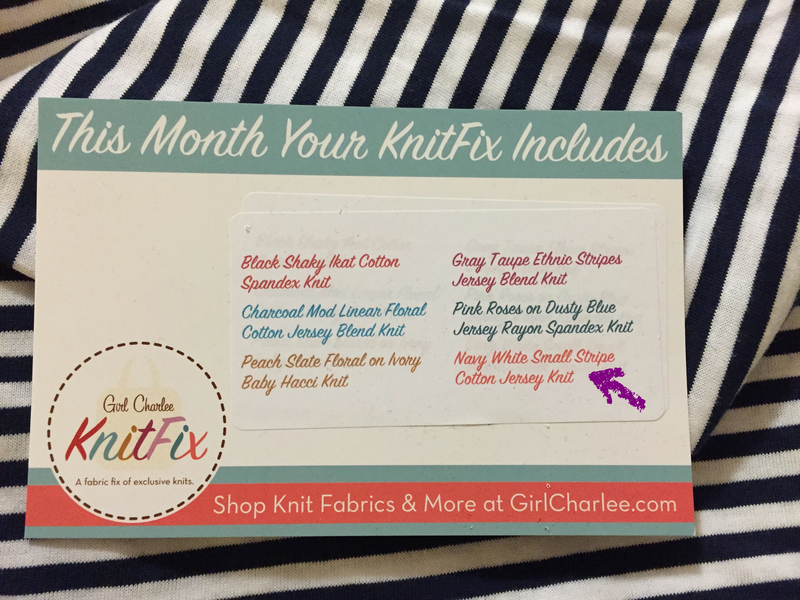 In my August Knitfix from Girl Charlee, I received some striped blue and white cotton jersey knit fabric, which didn’t really speak to me. But I really wanted to embrace all of the surprise fabrics I received, so, after thinking about the fabric for a while, I realized it may not be something I would wear, but it is perfect for some baby boy clothes! 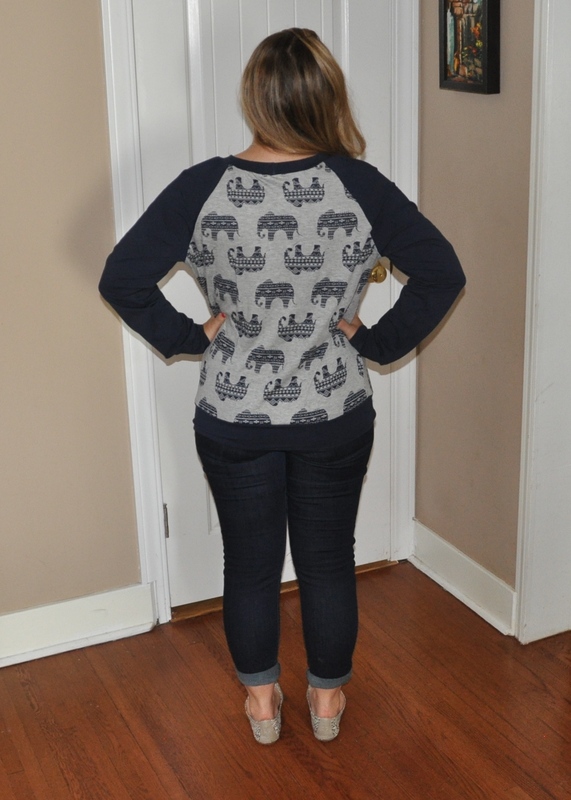 Fortunately, I had just purchased the perfect pattern – the Brindille & Twig Raglan Tee. It comes in sizes OM to 6T. 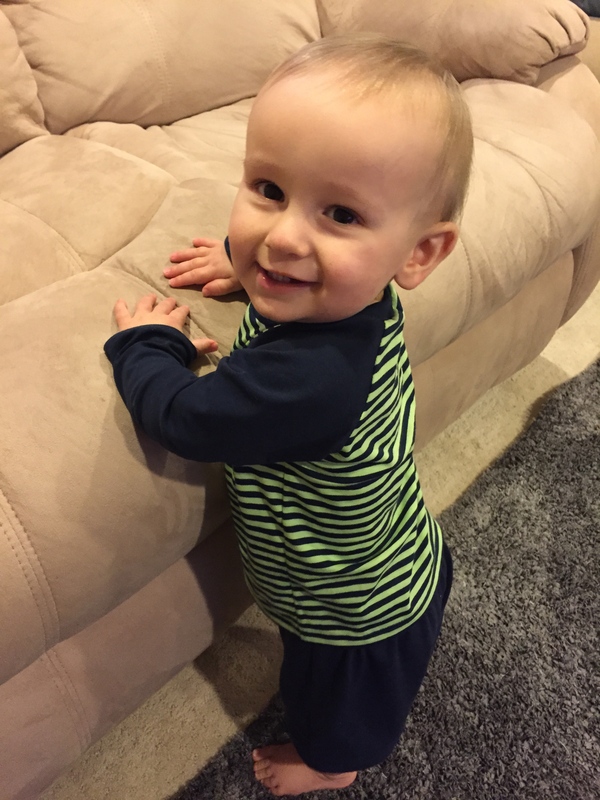 For my 9 month olds, I made the 12 month size. 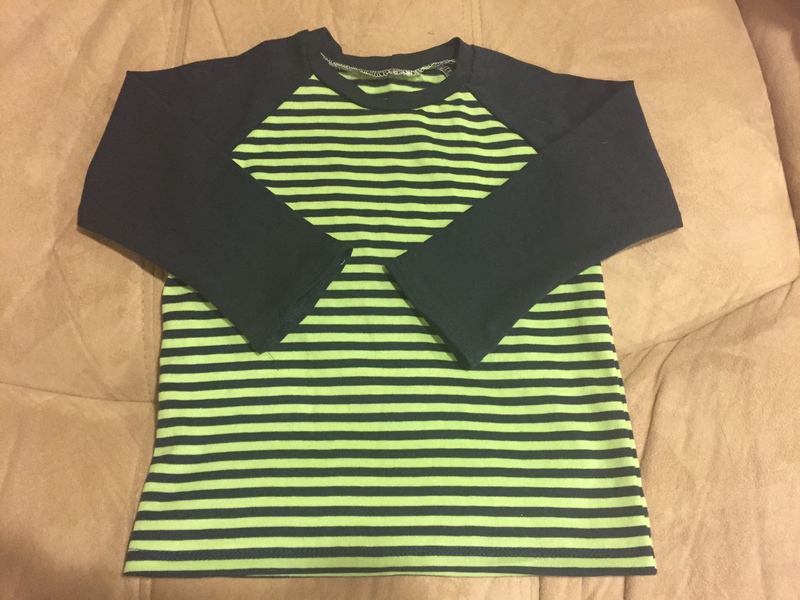 It was an extremely quick and satisfying make – no fitting challenges with a knit top for a baby, and it comes together very quickly when made with a serger and a cover stitch machine. I made the pattern exactly as written. This is my second time making a Brindille & Twig pattern, and I have loved both patterns. In fact, I enjoyed making this top so much, I made another one the very next day with a fabric in my stash from my May Knitfix, another striped cotton jersey knit – this one in blue and green. 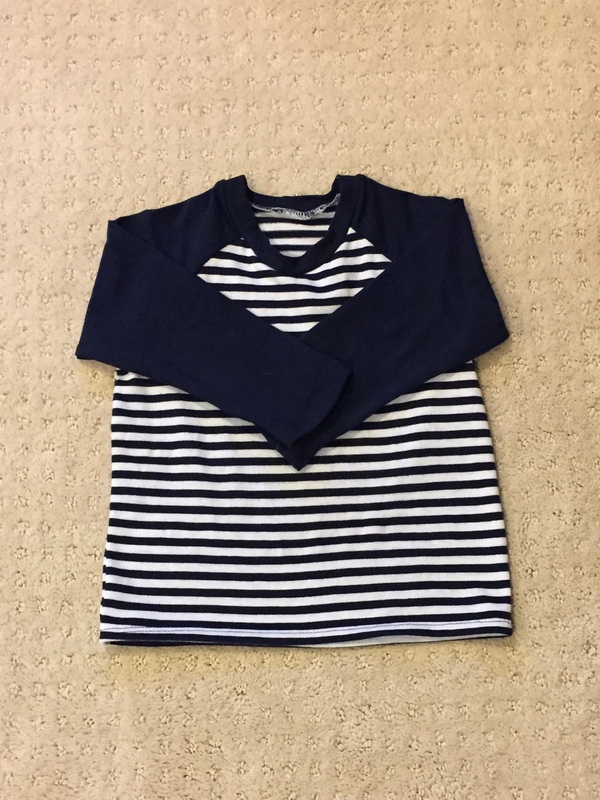 Of course, with twins, I sort of feel obligated to make two of each item so both boys can have new clothes. 🙂 Both boys seemed delighted with their new tops! I’m sure I’ll be making lots more of these tops in the future. I’m glad this pattern goes up to size 6T. 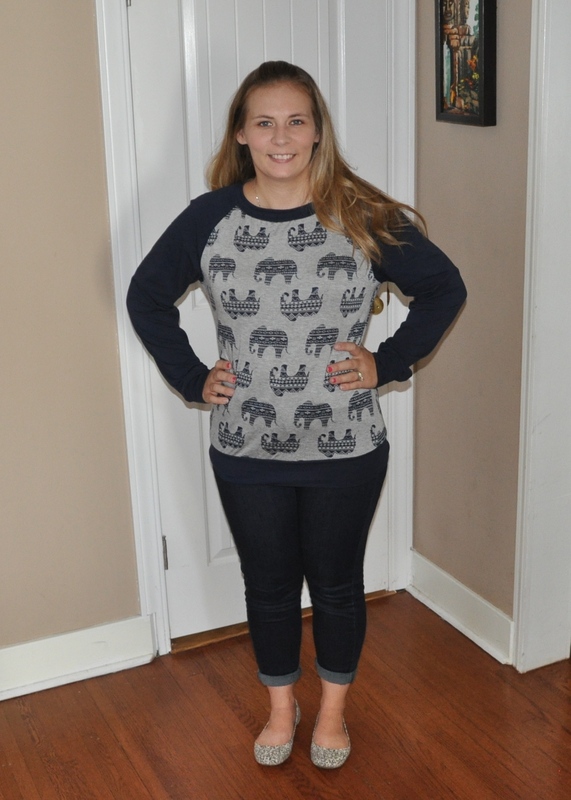 While I didn’t love either of these fabrics when I originally received them, I’m totally in love with these shirts. I’m glad I took the challenge this month of embracing all of the fabrics I received!